When I started blogging a few months back I got an email from somebody who also lives in PuntaCana. She’s a jewelry designer, her name is Iliana Prado, and her work left me breathless. I am not much of jewelry person, not in the traditional sense. I don’t like diamonds, nor most precious metals. I have to say that her jewelry “speaks” to me. She has somehow given form to the essence of the tropics. It is not difficult in the least to guess from where she draws her inspiration. Iliana’s pieces are sometimes bold. It takes a confident woman to wear some of her jewelry, but she tends to be more restrained in those with large pieces than in the smaller jewelry in her collection. It’s a bit of a contradiction. 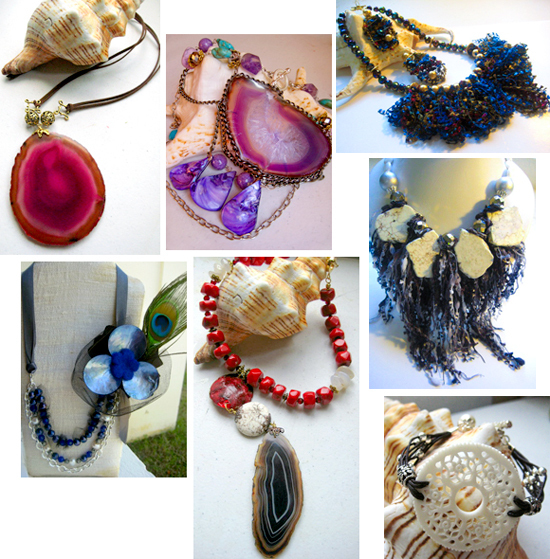 Iliana uses a variety of materials for her work, from semi-precious stones and noble metals, to ribbons, leather, feather, fabric, yarn, natural and glass beads. Her use of yarn in some of her latest creations left me even more amazed at her creativity. 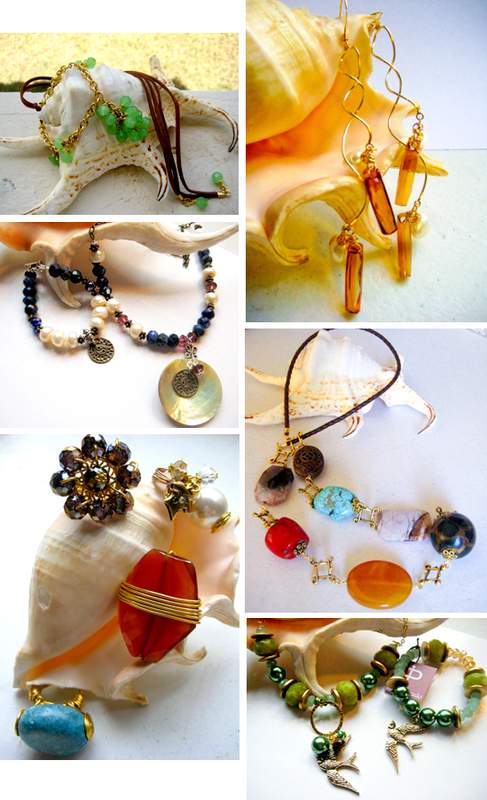 Iliana’s pieces are all one of a kind, and she takes custom orders. Her work is available at several stores in PuntaCana, Bavaro and Casa de Campo. She also takes orders from international customers, so contact her if you want to see what she has available. Iliana is also one of the organizers of the “Shopping, Cocktails and Relax” afternoon in PuntaCana Village tomorrow (details in her Facebook page), and she’ll be at the yearly Christmas Bazaar at PuntaCana Village on December 5th. Thanks Iliana for letting me use your pictures. I was looking for recipes for ripe plantain, and I found your website. So far I love it, all of it. I’m Mexican married to a Jamaican and we love to try different foods from all around the world. I do believe I will be visiting this website very often. Lovely words to speak about great talent and art!! !